**NEWS**–Dr. 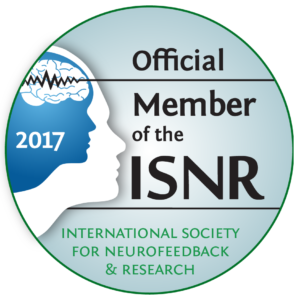 Fr iesen is now board certified in Neurofeedback through the Biofeedback International Certification Alliance (BCIA) and we are offering both Biofeedback and Neurofeedback training and treatments. Neurofeedback (also known as Neurotherapy or EEG Biofeedback), is a type of biofeedback that uses real-time displays of brain activity, to teach self-regulation of brain function. Typically, sensors are placed on the scalp to measure LoL activity, with measurements displayed using video displays or sound. Biofeedback is a process that enables an individual to learn how to change physiological activity for the purposes of improving health and performance. Precise instruments measure physiological activity such as brainwaves (neurofeedback), heart function (e.g., HRV), breathing, muscle activity, and skin temperature. These instruments rapidly and accurately “feed back” information to the user. The presentation of this information — often in conjunction with changes in thinking, emotions, and behaviour — supports desired physiological changes. Over time, these changes can endure without continued use of an gaming instrument (adapted from The International Society for Neurofeedback and Research www.isnr.org). Neurofeedback and Biofeedback are used to treat ADHD, anxiety, depression, stress, epilepsy, headache, TBI, strokes, and to help with optimal performance for those who want to perform at their best such as students, entrepreneurs, executives, and athletes. **NEWS**–Dr. Friesen has launched Friesen Sport & Performance Psychology (www.FriesenPerformance.com) which offers in-person sport and performance psychology services to serious athletes (ages 12 to adult) from Ontario’s Golden Horseshoe region (Niagara to Oakville). We also focus on helping high achievers (e.g., athletes, executives, entrepreneurs, academics, writers) achieve goals and improve their performance and productivity. We do this by leveraging the latest research from sport/performance psychology, executive coaching, and cognitive neuroscience. We offer coaching, consulting, and workshops to high-achieving individuals and businesses looking to maximize personal and professional potential. Dr. Friesen also provides such services online (e.g., Skype) or via phone to high achievers across North America. **NEWS**2013–Dr. Friesen and the NNS now offer one-on-one personal and executive coaching/consulting to individuals looking to increase their personal and/or professional potential/success. We are also now providing personalized career guidance to students and those considering a career change. The process involves helping individuals find career paths that are most suitable to their unique interests, personality, passions, and strengths. This can be done in-person, via phone, and/or online (e.g., Skype). **NEWS** October 16, 2011–We now offer evidence-based psychological (e.g., Cognitive Behavior Therapy–CBT and Acceptance & Commitment Therapy–ACT) and neuropsychological assessments and treatments to individuals who have been injured in motor vehicle accidents and eligible members of the Canadian Armed Forces, veterans, and the RCMP. We also offer services to those who have developed psychological or neuropsychological difficulties as a result of a workplace accident or incident (i.e., through the WSIB). Such services are directly billed to your insurance company once approved. Please contact us for further details. Niagara Neuropsychology provides neuropsychological and psychological services to the Niagara, Hamilton, Halton, Haldimand-Norfolk, and Brant regions. 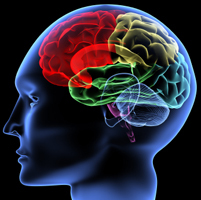 Niagara Neuropsychology was founded by Dr. Christopher Friesen, Ph.D., C.Psych. and officially opened in January 2011. The mission of the Niagara Neuropsychology is to provide evidence-based psychological and neuropsychological services to the Niagara and surrounding region. Particular areas of focus include neuropsychological and psychological assessment and the use of cutting-edge treatments to help those with mental health and neurological difficulties. Dr. Friesen is authorized to practice in the areas of clinical psychology, clinical neuropsychology, and forensic/correctional psychology with adolescents, adults, and seniors and is a member in good standing with the College of Psychologists of Ontario. He obtained his M.A. and Ph.D. degrees in the area of Adult Clinical Psychology from York University. He completed a CPA/APA accredited internship at the Centre for Addiction and Mental Health (CAMH) with major rotations in the Adult Forensic Outpatient Service and the Psychological Trauma/Work, Stress, and Health Program, where he also worked for several years. He obtained his neuropsychology training at the Toronto Rehabilitation Institute’s (TRI) Neurology Services and the Baycrest Centre for Geriatric Care. He obtained his forensic/correctional training at CAMH and at the Ontario Correctional Institute (OCI). He is board certified in neurofeedback (EEG biofeedback) by the Biofeedback Certification International Alliance (BCIA-BCN). He has held contract faculty positions for York University’s and the University of Guelph’s departments of psychology where he taught courses in psychological assessment and measurement. He has been an invited reviewer for the American Psychological Association’s journal Psychological Assessment. In 2017 he was the invited guest editor for the Canadian Psychological Association’s national magazine for a special issue focusing on concussions. He is currently the director of Niagara Neuropsychology and Friesen Sport & Performance Psychology and works as a consultant psychologist/neuropsychologist for various agencies throughout southern Ontario, including the Niagara Regional Police Service. He is a member of the following organizations: American Academy of Clinical Neuropsychology; National Academy of Neuropsychology; Association for Contextual Behavioral Science; APA Division 13—Society of Consulting Psychology; Association for Applied Sport Psychology; International Society for Coaching Psychology; APA Division 47—Society for Sport, Exercise & Performance Psychology; Sports Neuropsychology Society; International Society for Neurofeedback Research; Association for Scientific Advancement in ?Psychological ?Injury and Law.